AMBASSADOR BARZUN: So great to see you all here today! My fellow diplomats, friends, friends of friends: Welcome to Winfield House! And where are the Young Leaders UK- the YLUK-ers? Are you having fun? 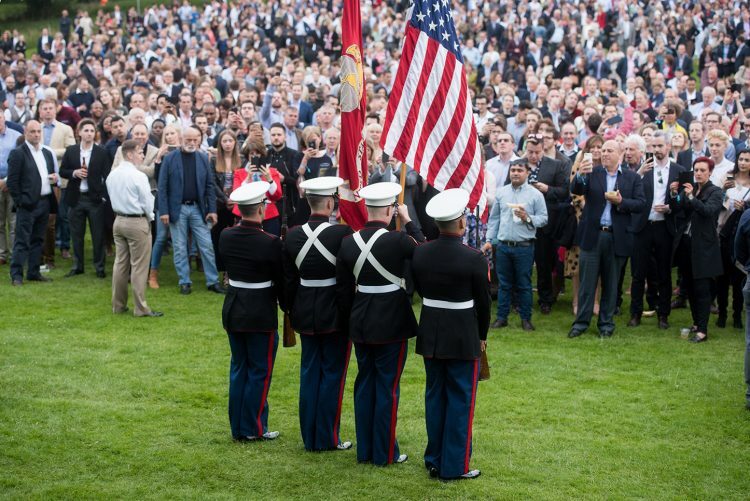 Thank you all for being here to celebrate America’s 240th Birthday. 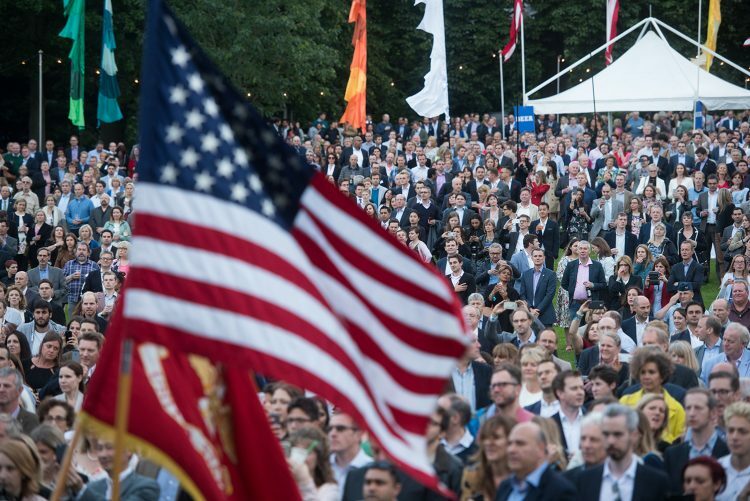 For Brooke and me, this is our final time marking the Fourth of July overseas – two in Stockholm and three here. I’ve got to say, at first we were a bit worried -I mean our Declaration of Independence was addressed to…how do I put this diplomatically…a postcode not overly far from where I stand now. But it turns out, there was no need. The fact is that even though we once fought a war over independence, we have depended on each other pretty much ever since. And our interdependence now is stronger than ever. He’s right. That gives us a choice- as nations and as individuals. We can fold them- in a gesture of defiance or defensiveness. Or we can choose to reach out. Across the room. Across the aisle. Across the generations, across the water… in a gesture of inclusion. And so I want to ask you to help me with my toast by literally doing just that. This might be a bit awkward for some of our British friends, or anyone like me who was raised in New England- but it’s going to be ok.
Just reach out to the person next to you with your free hand- with your non-drink hand – all the better if you don’t know them. Now raise those hands up like this. Here’s to going from the bitterest of foes to the bestest of friends; from standing toe-to-toe to standing shoulder to shoulder; whatever future stands before us, let’s face it, forge it, fill it with hope- together- hand in hand. Happy Fourth of July! Thanks for coming!